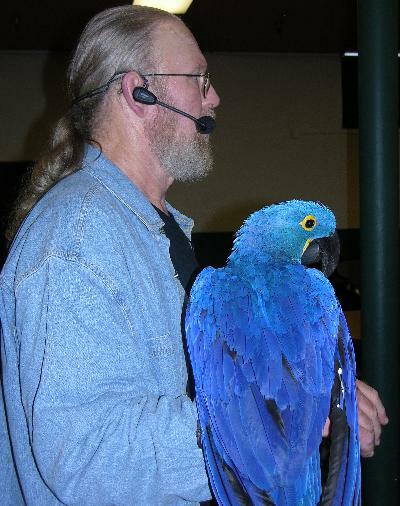 Workshops and seminars differ from shows in that they are geared toward people who already own birds or are thinking of getting a bird as a pet. They focus on bird care, on the husbandry of Psittacines in captivity, bird behavior, the best caging, the best material for perches, the best feed, and the best bird toys on the market — just to name a few topics covered in these venues. As I have already said — there is a lot of stuff out there that is pure junk (to put it mildly) — that will either not benefit your bird at all or may, in fact, harm it in the long run. You need to be aware of these things if you are a bird owner — or plan on becoming one! That being said — the bird will actually end up owning you — if you allow that to happen. Workshops and seminars are normally sponsored by bird clubs, pet stores that specialize in birds, or colleges, but anyone can, in fact, sponsor one of these. Depending on the specific scope, they range in duration from 4 to 8 hours and are normally scheduled on weekends.